Expansive 10 acre farm with several fully fenced pastures ready for your horses. 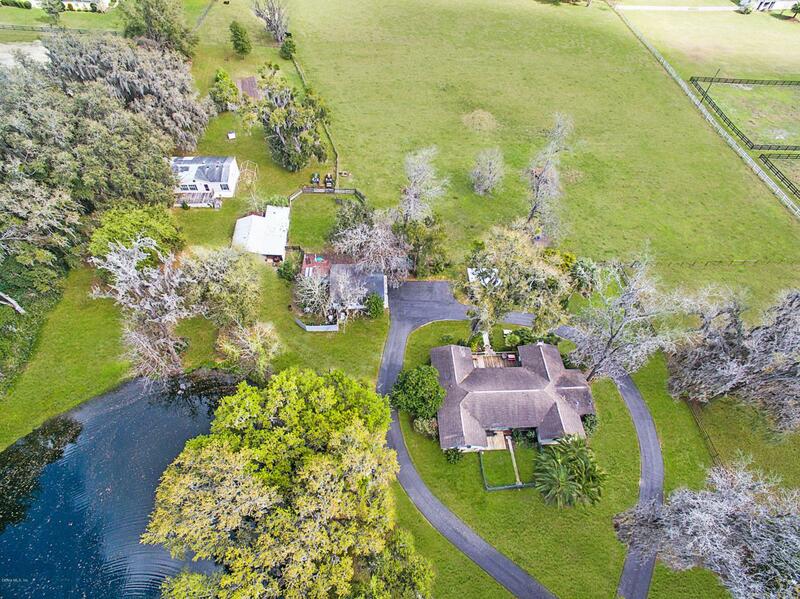 This unique property with two homes and a pond is located only minutes to the Florida Horse Park and convenient access to I-75. Main residence features a living room with wood burning fireplace and a spacious kitchen with new stainless appliances, breakfast bar with cook top and plenty of prep space. Good sized bedrooms with hardwood flooring and a massive screened in lanai overlooking the peaceful acreage. 3/2 manufactured Guest Home offers a light a bright, open floor plan with vaulted ceilings, large living room, inside laundry room and sundeck. Property also features a circular drive, detached 2 car garage, sheds and workshops for extra storage.